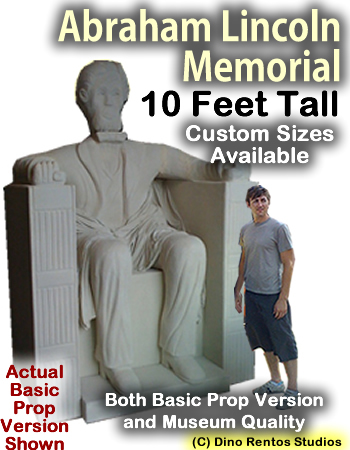 10 Foot Abraham Lincon Memorial Foam Prop - Dino Rentos Studios, INC.
Used at trade shows, retail stores, stage productions and commercials. The statue is hard coated so it looks and feels like rock. Basic quality foam prop carving shown. High quality carving available. Call for details.